Wow, did I have the best experience of my life! 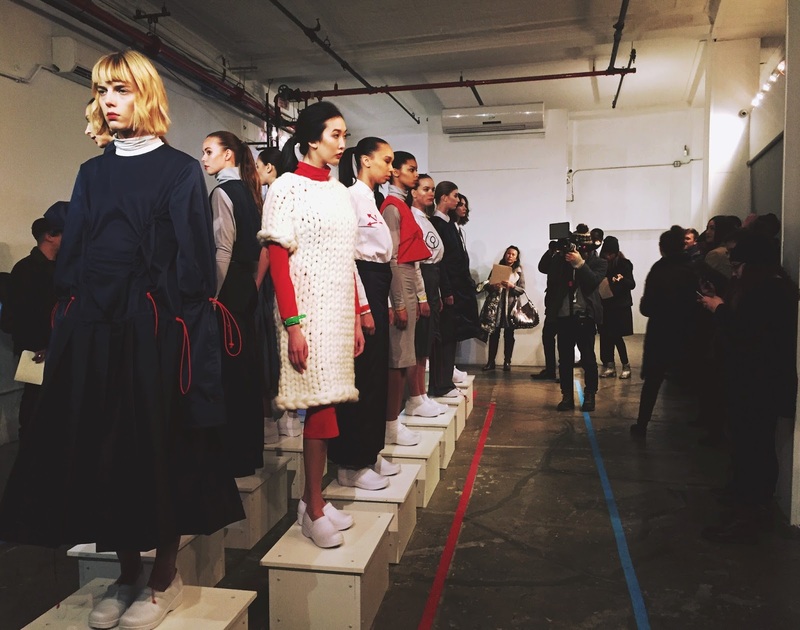 This past week I helped backstage at New York Fashion Week for Baja East, Jonathan Simkhai, and Libertine. I also attended Ev Bessar's "Firebird" fashion show and DAMNsel's "Garmioplasty" presentation. My friend Hannah brought me to the Zang Toi afterparty and I brought her to the Jonathan Simkhai's afterparty. We had so much fun! Everything that I saw was amazing and honestly magical. My dreams came true and I truly had my Devil Wears Prada moments throughout the week. When I was running around backstage at Jonathan Simkhai I was stunned to see Anna Wintour right in front of me. She then gave me the warmest smile and I nearly died. She is one of my idols! 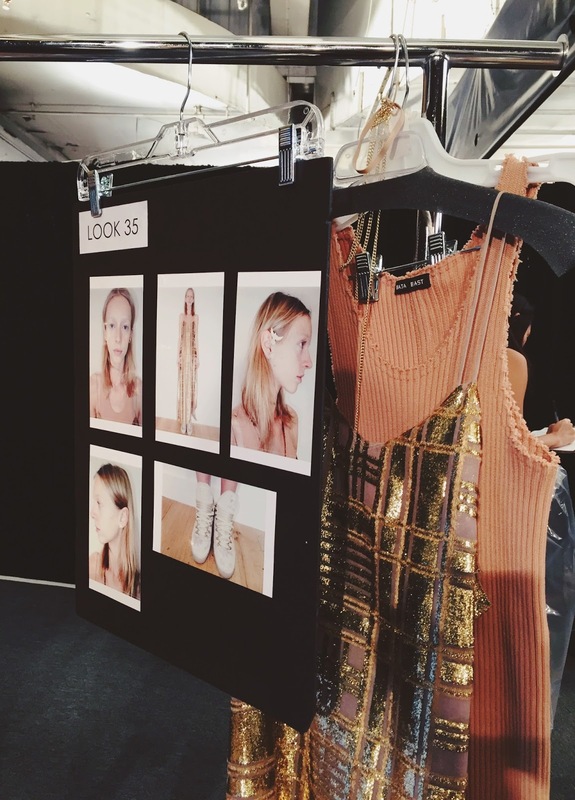 Being backstage gave me the opportunity to appreciate the clothing and see all of the details. The garments were truly works of art. My main job at each of the shows was to dress the models which was really cool and intense. I really felt like I was part of the team. And working amidst the backstage chaos was the most thrilling experience ever! I was able to observe the emotions and details that are put into each show. I am still on an high from NYFW and look forward to each season that I can be a part of!